Photos © Virginie Garnier. Used by permission. 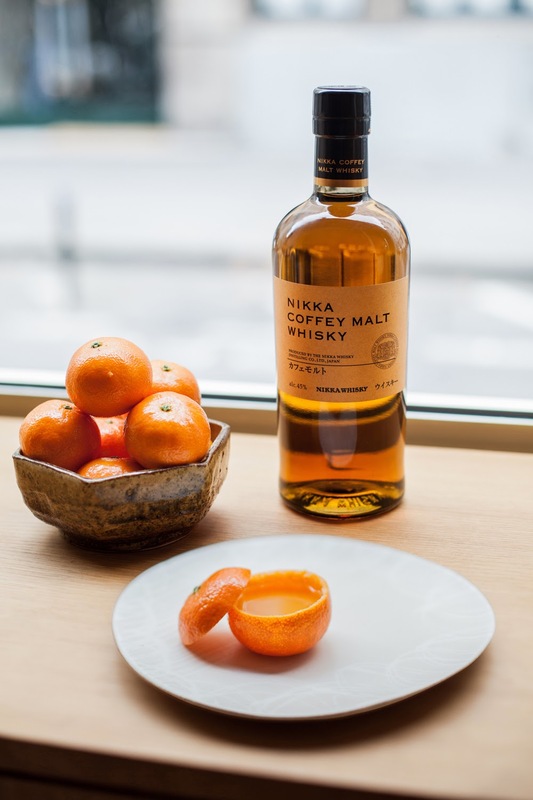 At the end of last year, we reported that Nikka was going to introduce a new addition to its permanent range, the Nikka Coffey Malt. We also mentioned that it would be launched in Europe and that it would only be available there for the time being. 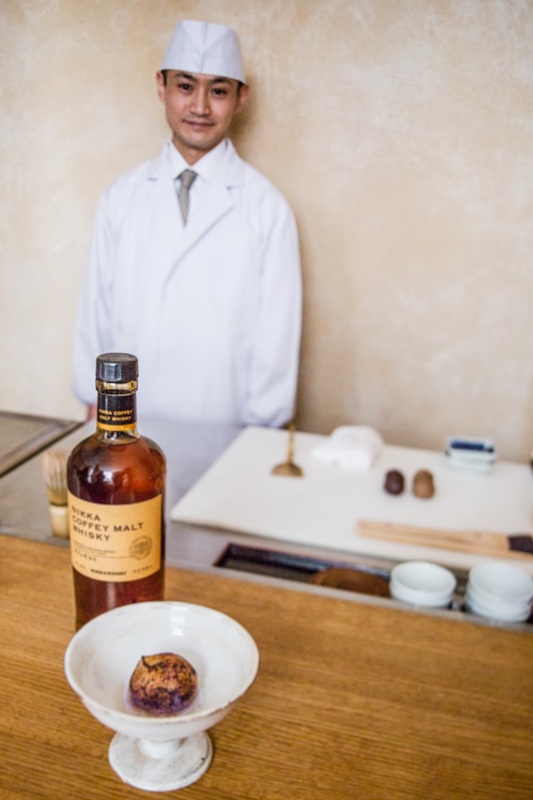 Well, it’s out now and to mark the occasion, Nikka's European distributor (La Maison du Whisky) has teamed up with Takanori Murata (of Japanese pastry salon Walaku in Paris) to develop two original wagashi. Wagashi are traditional Japanese sweets. In their presentation (colours and shapes) and/or flavours, they usually foreground seasonal elements. The 2 original Nikka wagashi created by Murata-san are built around kuri (Japanese chestnut) and mikan (clementines), archetypal autumn and winter fruits in Japan. 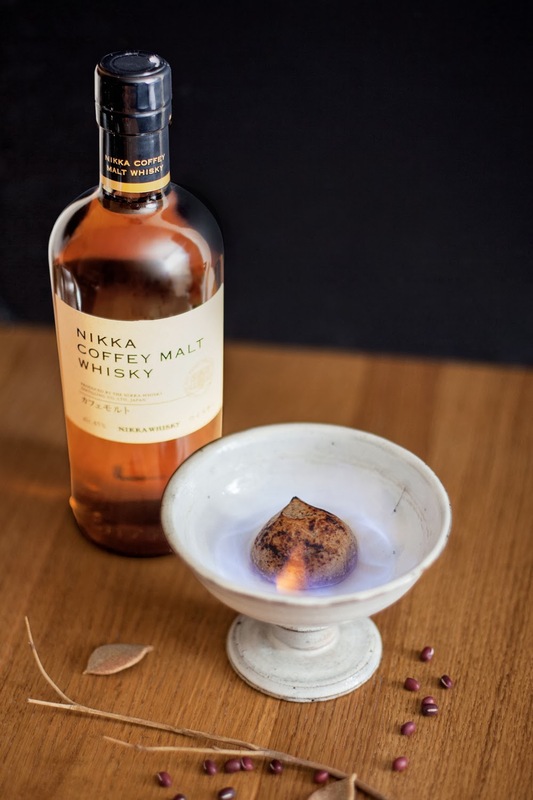 “Yakiguri flambéed with Nikka Coffey Malt” is a little red bean cake dressed with sweet chestnut paste, which is plancha-grilled and then flambéed with Nikka Coffey Malt. For “Fuyu no ne” (lit. 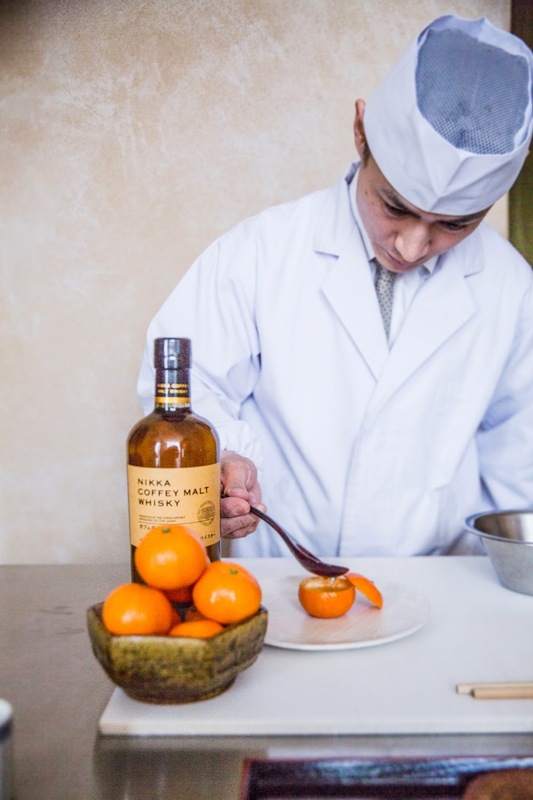 ‘the sound of winter’), a mikan is emptied and then filled with a jelly made from its juice and mizu-yokan, and topped with a syrup made with Nikka Coffey Malt. The sweets are 5 euro a piece and will be available until spring. If you’re in the French capital, it’s well worth making a bit of time to visit Walaku. It’s probably best to reserve a table because the salon is quite small (it only seats 8). 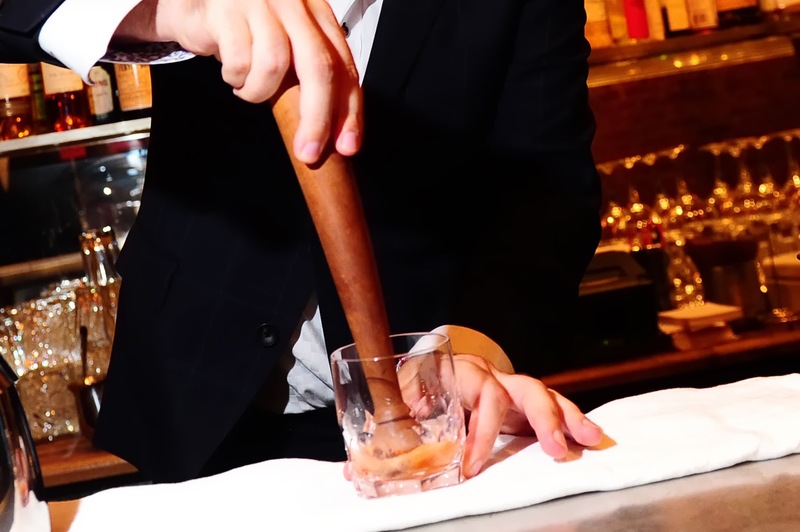 If Paris is not on your itinerary the next few weeks, you can always drown your sorrows with a Coffey Malt Old-Fashioned – something you can easily make at home. It calls for 60ml of Nikka Coffey Malt, a lump of Demerara sugar, Angostura orange bitters and some orange zest. Even the clumsiest hand in the house could make a decent version of this: rub the lump of sugar over the skin of an orange to extract the aromatic oils and soak the sugar in three dashes of orange bitters; then, crush the sugar with a muddler in a tumbler; add the Coffey Malt and some ice; stir and serve with a twist of orange zest. Sounds pretty good, so we’re going to leave it at that for this post. Thanks for this information. I may try in the next few days. Please let us know what you think if you have the chance to try these Nikka wagashi!